Everyone knows what function brakes have in a car. Brakes slow down your vehicle, allowing it to stop safely. However, brakes aren’t the only important component in this process; your brake pads are equally important. The importance of an effective braking system as well as quality brake pads can never be underestimated. 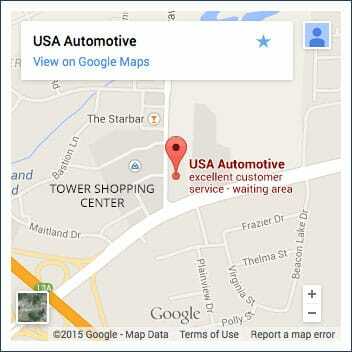 Consider these facts with any brake repair job. Stopping a car at any speed requires friction, which is what brake pads create: They apply pressure and create fiction to the brake rotors, stopping the wheel. Given that this is a commonly performed action, happening daily and multiple times, brake pads regularly need to be replaced. 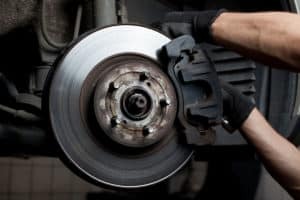 Although the time may vary regarding each car and driver’s specific conditions, the average lifespan for a set of brake pads is around 50,000 miles, a number that can be lower or higher depending on the way your vehicle is driven, where and how often. If your vehicle is driven mostly on the highway, your brake pads may last longer than if you lived in the city, given how many times you have to use the brakes because of traffic lights, stop signs, pedestrians, buses, etc. Driving alone? Your car is a little easier to stop due to its lighter weight. This is something that is important – especially if you usually transport your family, coworkers and/or friends. The type of brake pads you have in your vehicle will eventually affect how long they’ll last: Organic brake pads are the cheapest, but they won’t last too long. Low metallic brake pads can be noisy but will live a bit longer, while both ceramic and semi-metallic brake pads have a higher expectancy and are typically more expensive. The more miles you drive, the more you’ll use your brakes and the faster these components will wear out, which is why it is important to choose high quality brake pads. Your brake pads are responsible for absorbing the force of the braking system, helping you get the most out of your brakes while allowing you to safely reduce speed and/or stop your car when necessary. Next time you visit your mechanic, ask what type of brake pads are best for your vehicle and ask for a thorough inspection so you can be certain that you’re taking advantage of all of the benefits that high quality brake pads have to offer.